November 2014: Pause, smile and be intrigued! January 2015: Welcome the New Year! Two unique artists collaborate to bring you color and glass in December! 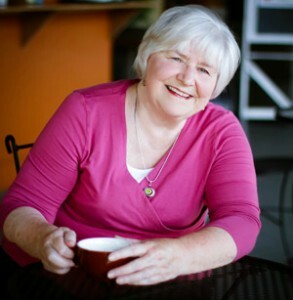 Marie Wise and Peggy Bird love words, color and social media, and they are here to share their work with you! Join us for a First Thursday celebration to see their art for the first time, and enjoy the fellowship of art lovers. First Thursday – December 4 >> mark your calendar! 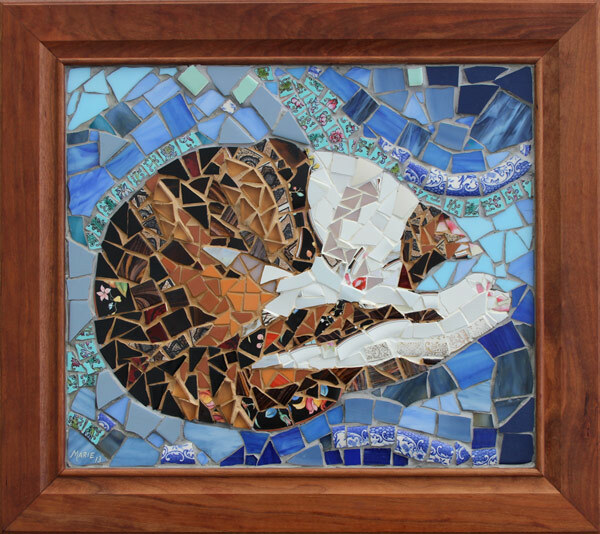 I’m showing my mosaics for the first time, and I hope you enjoy them! They are a collaboration between Peggy Bird and I. 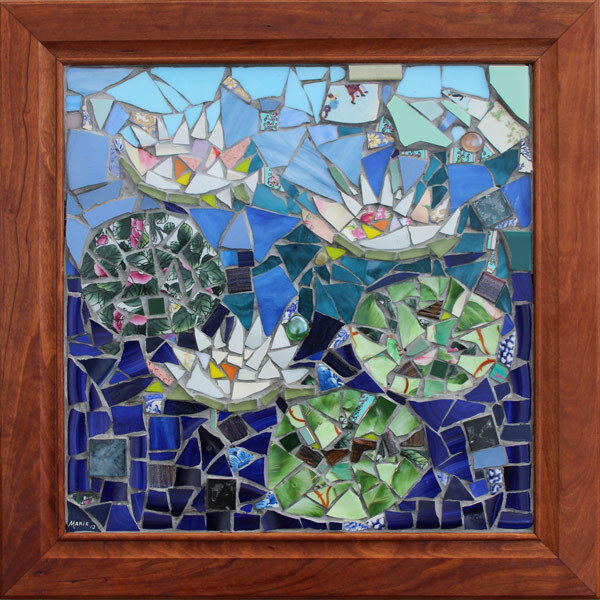 She gives me her leftover glass, and I combine it with broken tiles and found objects into mosaic paintings set into reclaimed cabinet doors! Assembling little pieces of glass into a pattern is very therapeutic, like putting together a jigsaw puzzle. I enjoy it as much as painting. As far as paintings, I’ve pulled together my 2014 sunflowers, along with a selection of painting featuring the colors that compliment my mosaics, and that represent what I think is an eclectic collection expressing my style. As far as my style, well, it meanders, but mostly gravitates towards realism. More importantly, I think the viewer’s reaction to my work is what defines my style. That’s why I’ve written a little story about each painting. Reading my words while looking at my paintings forms a visual image in the viewers brain based on their own experiences. This is what I think art should be about. 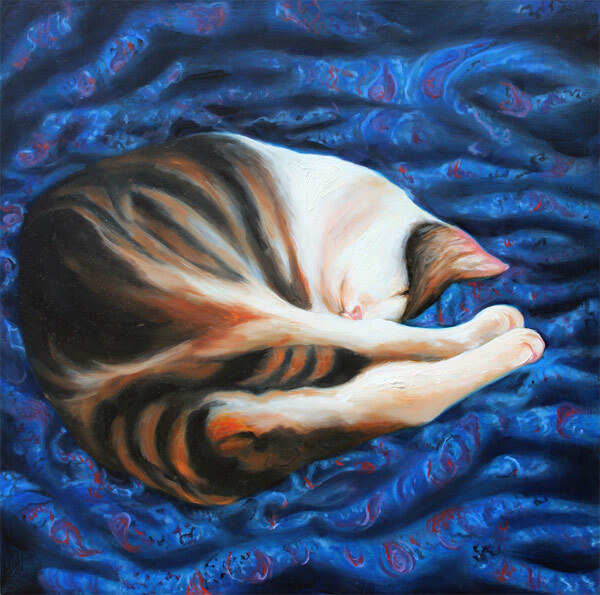 Not what I paint, but rather what my paintings, framed by your interpretation, say to you. A glass artist and writer living in Vancouver, Washington, I split my time between creating hot romances and warm glass pieces. The two disciplines are not as dissimilar as they may seem: glass, like words, can hide or reveal, color and distort. Although usually I focus on one or the other, sometimes I get to connect my two creative loves. 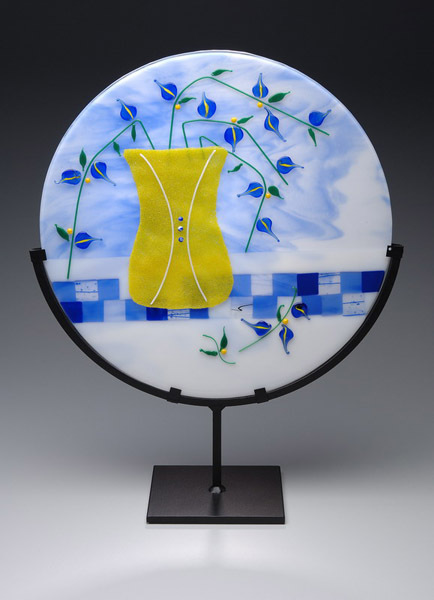 One of my favorite exhibits of my glass was a series of pieces inspired by the work of Portland poet Ginny Foster which was featured at the Broadway Gallery in Longview as well as Sixth Street Gallery in Vancouver. 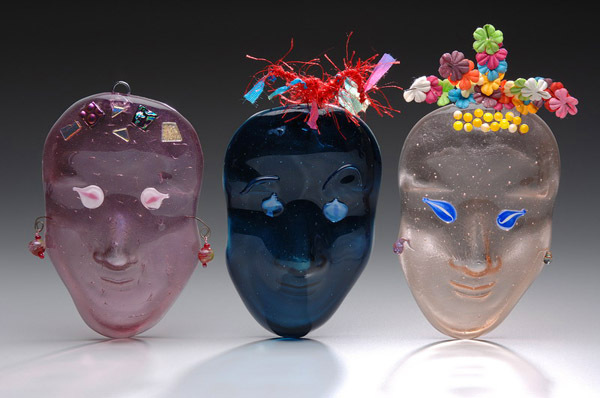 I also created a series of glass pieces described in Loving Again, my novel with a glass artist heroine. And often the heroes and heroines in my books are artists, art gallery owners or fans of glass art. I love sharing my passion for both writing and glass with young people. For a number of years I have volunteered at the Clark County Juvenile Court teaching basic skills in glass art. 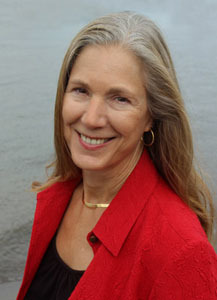 And I have had private students work with me, including all four of my grandchildren. 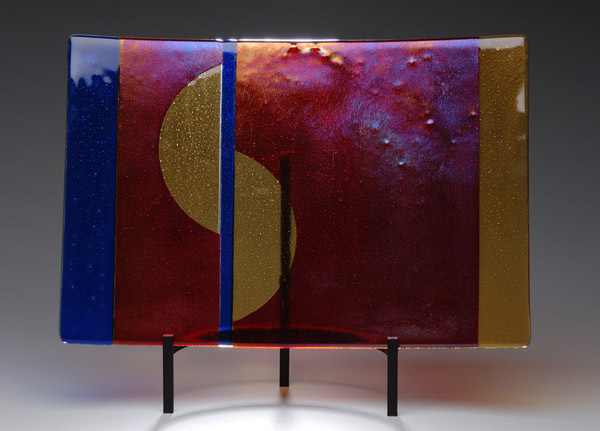 The most recent project has been to interpret in glass a poem written by ten-year-old Ben Stern. 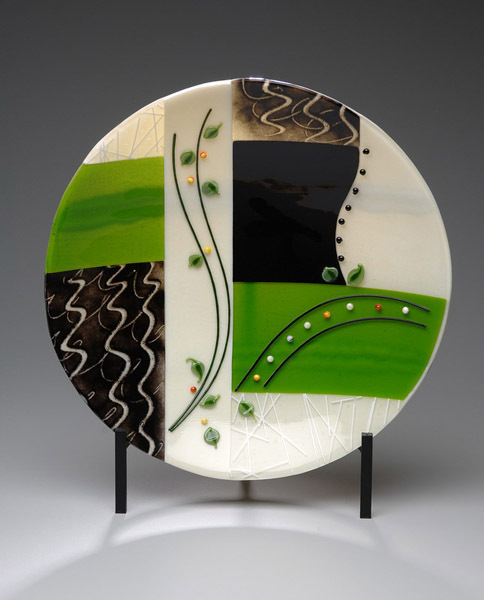 Over the past fifteen years, my glass has been exhibited in galleries in Southwest Washington from Longview to White Salmon. And for the past twenty years, my writing has been published in a dozen anthologies and many magazines. By the end of 2014, ten of my novels will be available from Crimson Romance, with several more slated for future release.